Daniel Evans’ five star production of Show Boat will transfer from Sheffield to the West End in the spring of 2016, previews begin at the New London Theatre on 9 April 2016. Evans’ sell-out production opened at the Crucible in Sheffield on 10 December last year and after being hailed by audiences and critics alike extended booking to 23 January 2016. Show Boat is produced in the West End by David Ian with Bob Bartner and Norman Tulchin. 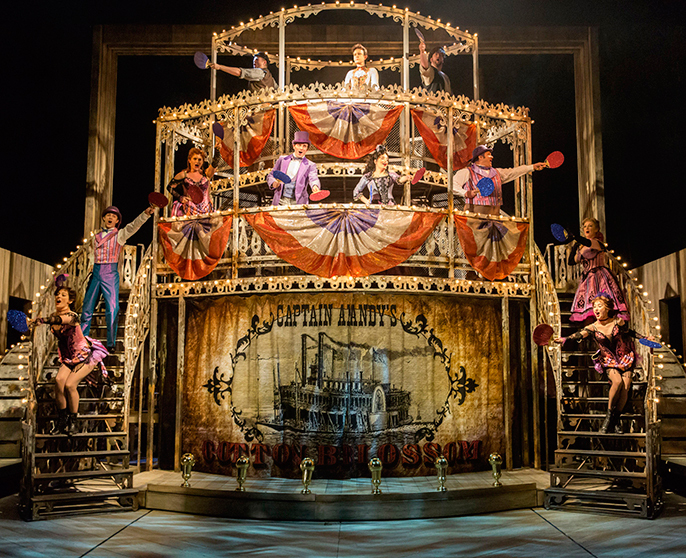 Daniel Evans said: “Show Boat is often thought to be the mother of all musicals. Hammerstein and Kern's score continues to blow audiences away, almost 90 years later. As well as being a riveting story, the piece’s themes of family and freedom still speak to us today in a profound way. I feel proud that the production we made in Sheffield will now get to travel further afield and be experienced by yet more audiences in the capital." Casting for this production will be announced shortly. One of the most romantic musicals of all time and set against the backdrop of America’s Deep South at the turn of the 20th Century, Show Boat tells a powerful story of freedom, loyalty and, above all love. Spanning 40 pivotal years in American history, this epic musical follows the lives and loves of three generations aboard the Cotton Blossom show boat as it plies the Mississippi River and features the timeless songs Ol’ Man River, Make Believeand Can’t Help Lovin’ Dat Man.